The New York Times used up 2,000 words of its paper yesterday in an article about Snooki. Yes, it was the style section, but still, 2,000 words about Snooki? I managed to read all the 2,000 words, and I have to say I do not know much more about her now than I did before I read it. Oh, except for the fact that the school system she attends obviously allows you to graduate without actually reading anything. Ever. In the article, Snooki says she has only read two books in her entire life. Twilight and Dear John. Her dad was given about 300 words to describe Snooki, and the most he could come up with is that he is not sure why his daughter is so popular, and that he asks everyone why they like her. I will say it for you. She does not have any talent. But in today&apos;s culture, you do not have to have any talent to make millions of dollars a year as a celebrity. Not that she is making millions yet, but I bet with all her appearances and salary, she is about to cross the million-dollar barrier in just over a year of "being known." That is a ton of money for someone to earn who just applied for the job after seeing a Facebook ad about the Jersey Shore auditions and quitting her courses to become a veterinary technician. What exactly is that? In the article, MTV called her an icon. Umm, yeah. The reporter compared her to Elizabeth Taylor. Umm, yeah. The New York Times and Snooki. Who would have thought that was ever going to happen. 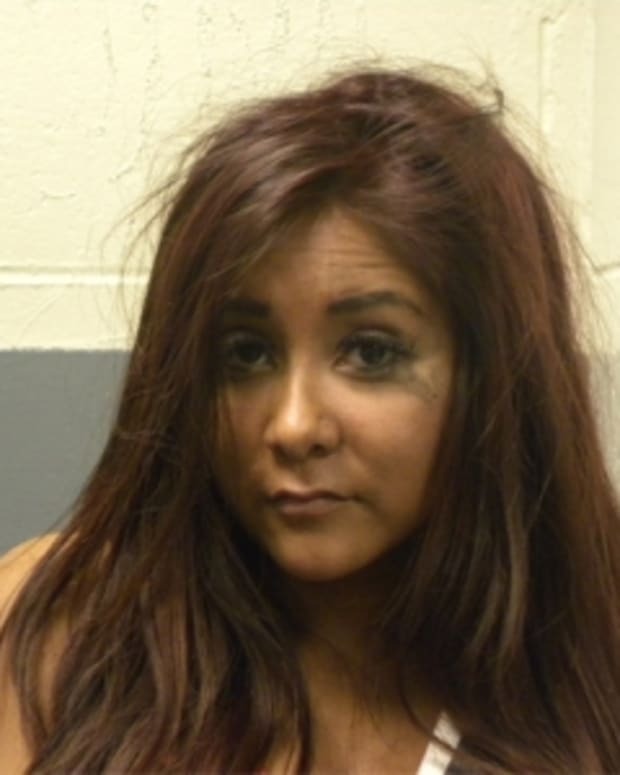 "Jersey Shore" Star Snooki Battled Anorexia? MTV Covering Up "Jersey Shore" Fistfight?